Bah, Humbug. I may be a Scrooge-y old Grinch when it comes to the winter holidays, but even I can't resist the allure of yummy chocolate mints. I picked these up on a recent trip to Aldi and thought it'd be a good idea to hurry up and review them while they're relevant, plus once photographed, I can share them at my annual cookie swap. This is my 6th year hosting a swap, and each time I model the party's theme after a movie franchise with that year's number of sequels. This year? I went with the cinematic classic, Leprechaun 6: Back 2 tha Hood. 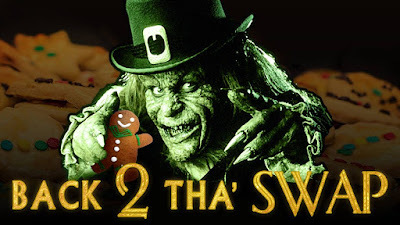 I'm a big fan of bad horror franchises like Leprechaun, Puppet Master and Demonic Toys, so it's my way of working a little Halloween into the Holiday spirit. Honestly, I'm starting to run out of ideas, so if any of you have some fun bad movie theme suggestions for next year, be sure to leave them down below. If I can't think of something I might just have to "reboot" next year's theme. Okay, enough about future party planning, time to stuff my face with some chocolate! This container looks pretty, "meh." 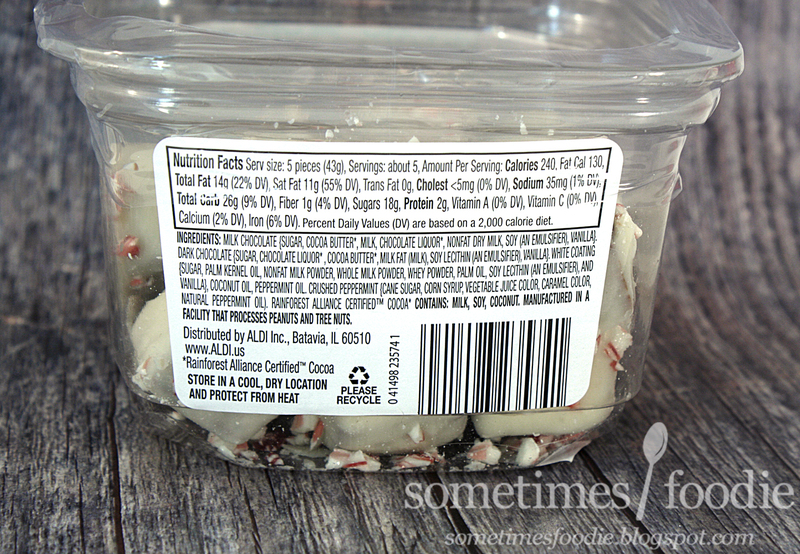 It's a basic plastic box, the same kind that's used in bulk candy shops, and the labeling comes off as looking really lazy. We've got some scattered snowflakes, and some red stripes, but overall it kind of looks like generic holiday themed clip art was tossed on at the last minute to make this appear more festive. It doesn't really work, but they tried. This isn't a container I would leave out at parties, instead I plan on taking the candies out and scattering them onto a fancy cake plate or mixing them in with some minty cookie platters. So looks-wise, this is a fail for me, but hopefully the candy itself will be more palatable. Okay, out of the container these candies are a lot cuter. 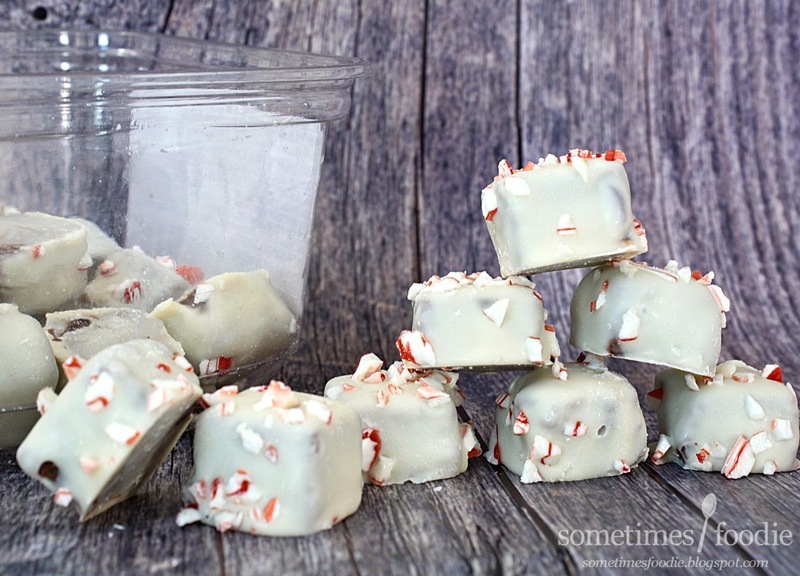 These little white chocolate coated bricks have shiny flecks of broken candy canes, and they smell milky, minty, and super sweet. I took a bite, and although the candy didn't melt as fast as I had expected it to, it did start to dissolve into a white chocolate, milk chocolate, minty puddle of goodness. 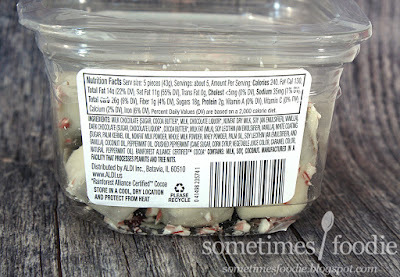 The minuteness is sweet and mild, similar to a Starlite mint or candy cane, and the little bits of candy on the outside give things a satisfying crunch. Overall these are pretty good, definitely enjoyable, but they're not phenomenal. 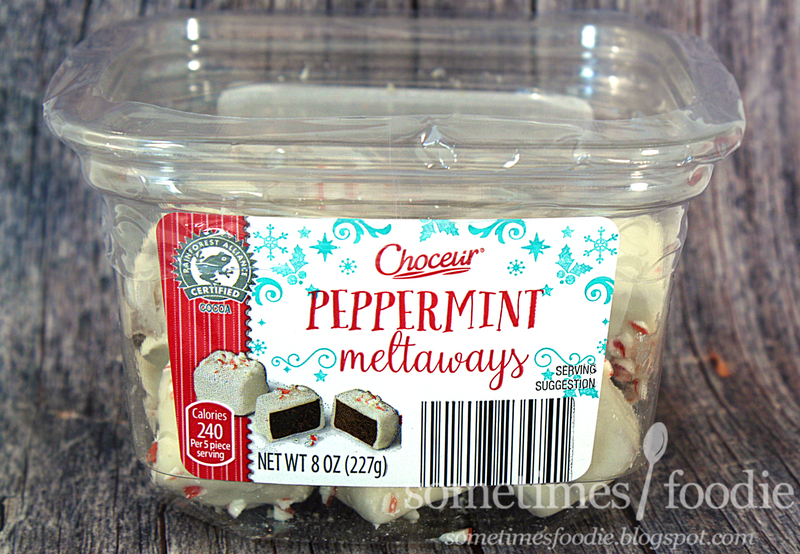 In Merchantville, New Jersey, there is a cute little candy shop called Aunt Charlotte's and they have homemade chocolate mint beltways that blow these out of the water. Still, for like $2.00, these aren't bad at all. My sister gave them a try and she says they taste just like the mint milkshake Chik-fil-a rolls out each winter, so if you're a fan of that, these might be worth while, but for me they're just okay. 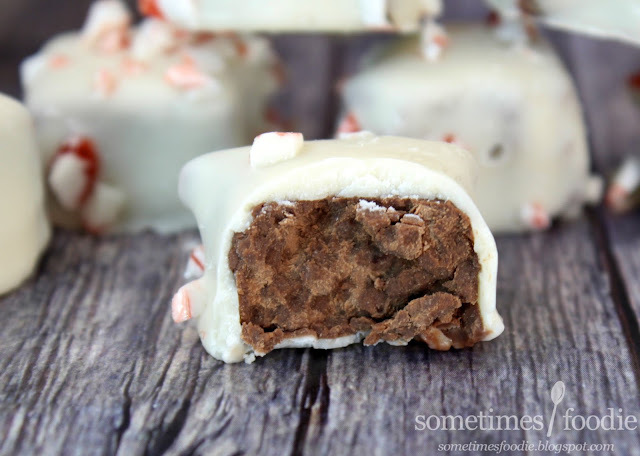 I can see myself popping one of these into a glass of hot milk to make some cocoa, and they'll make a nice addition to my cookie swap spread, but I wouldn't say these are a must have sweet for the holiday season.